The spine is made up of 26 bones or vertebras which are cushioned with discs in between the vertebra. Every time you walk, run or jump shock vibrations are transmitted from the feet moving upwards towards the top of the spine or the head. These intervertebral discs work like shock absorbers and cushion you from this jarring sensation. The central core of the disc has a gelatinous and soft matrix while the outer ring is hard and fibrous. When the inner core begins to protrude through the outer hard and fibrous ring, herniation or a slipped disc is known to occur. A frequent orthopaedic manifestation is bulging discs in back. The bulging disc or the bulging intervertebral disc, as it is better known invariably afflicts adults in older age group more than young individuals. Nevertheless it is indeed encouraging that bulging discs with no nerve compression will usually be asymptomatic and do not require any medical treatment. Studies validate the fact that as one grows older; the shock absorbing intervertebral disc begins to lose water content and hence becomes flatter and stiffer thus leading to damage. Concurrently the outer fibrous covering of the intervertebral disc begins to weaken and pressure from the central core thus leads to bulging discs. The condition is typically asymptomatic and the individual may be unaware of the pathology. On the contrary when the bulging disc impinges or exerts pressure on the back, pain begins to radiate from the back through the buttock and the hips to even the legs. Although bulging discs are common, it is bulging disc l4 l5 which accounts for over 90 percent of all manifestations with cervical spine bulging discs being relatively uncommon. Causes of bulging discs are diverse and include improper posture, wrong lifting techniques and poorly developed core muscles which are unable to support the body weight effectively. Age is also a major factor. As the years pass, wear and tear can catch up with the body. The spine isn’t able for the long prolonged unsupported sitting positions like the past. Sitting straightens the lumbar region of the spine (lower back), putting increased pressure on the spinal discs. This is one of the major causes of increasing the speed of disc degeneration. One of the least understood but most commonly encountered cause of low back pain is the degenerative disc disease. Degenerative disc disease or DDD as it is more commonly abbreviated may be genetic or may occur in response to a minor trauma which starts the wear and tear of the disc. The disc has no blood supply and hence does not heal like other tissues. Those over the age of sixty would invariably present with degenerative disc disease on imaging and this may or may not be associated with pain. When symptomatic, bulging discs are best treated with an array of options depending on the symptoms and degree of damage. If you have a bulging disc then in all probability the first symptom that you would encounter would be pain with inflammation. The symptoms associated with a bulging disc or a slipped disc is best treated by using drugs like non-steroidal anti-inflammatory medicines in combination with ice therapy and acupuncture. Alternatively the physiotherapist may advice rest and avoiding specific movements like forward bending or lifting of weight for 6 weeks or more. Prevention of slipped discs is best ensured by adopting some smart ergonomic techniques like using an ergonomically designed chair and adopting ergonomically correct postures and techniques while running or lifting weights. 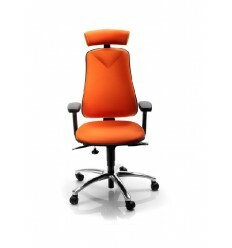 Ensuring you have the right chair that fits and supports your body is crucial. 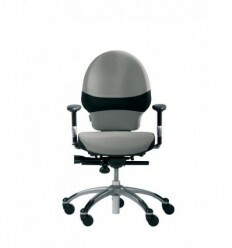 The backrest must support the natural curvature of your spine and should be adjustable enough to adapt to your sitting position. The most important area to support is the lumbar region in your lower back. The correctly positioned and shaped backrest will take the pressure off the discs of the spine and encourage the natural curve back into the spine. The human body isn’t designed for sitting for long periods so it is very important to ensure the user varies their posture regularly while sitting and gets up out of their chair on regular intervals. 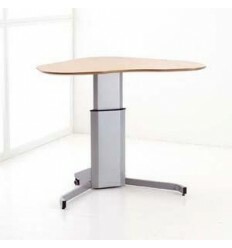 The movement in the chair is crucial, it is important that the movement can be adjusted to the user’s weight and body shape to ensure ease and natural movement. 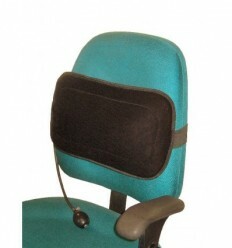 It is also important as you recline or shift working positions that the lumbar support stays supporting the key area. 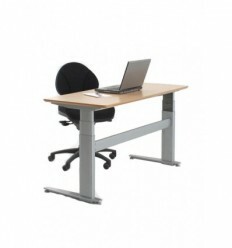 With lesser quality chairs the lumbar support will shift up the users back leaving them in a slouched position. The support should stay constant as you recline. The ergonomically correct position for lifting weights is bending at the knees and avoiding waist bending. Concurrently the weight must be held close to the body while lifting. Bulging discs or Degenerative Disc Disease then are best treated using an array of options and ergonomically correct postures at all times.